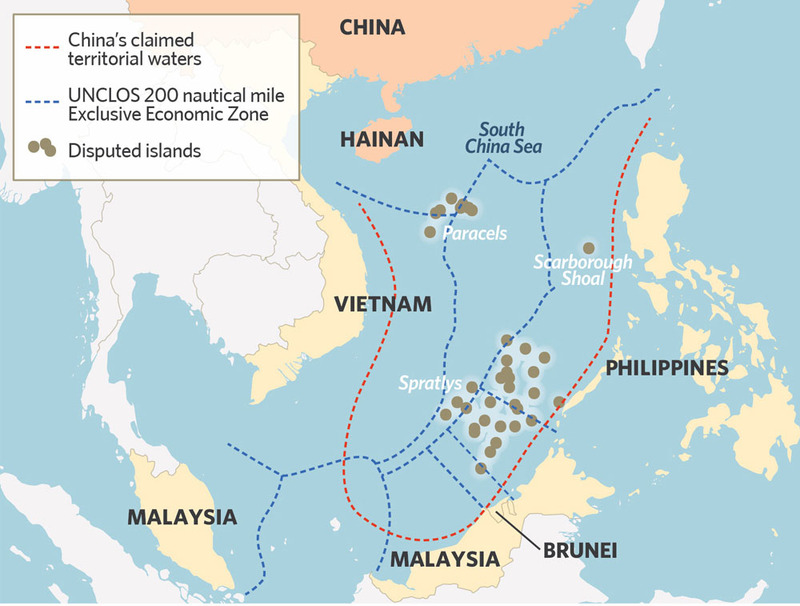 You are here: Home » China Watch » China willing to nuke US to effectuate South China Sea claims? (TibetanReview.net, Nov30, 2015) – A Chinese professor has warned that his government was willing to start a nuclear war with the United States to effectuate its claim over the whole of the South China Sea territory, reported valuewalk.com Nov 28. Vietnam, the Philippines, Malaysia, Taiwan and Brunei also have sovereign claims over parts of the South China Sea territory and the United States, with its powerful naval presence, is seen as the main obstacle to China’s ambition to seize the islands and reefs currently in possession of these countries. It would be unwise for the US to further provoke China in the disputed area, since China’s willingness to defend its interests, reputation and deterrence credibility could easily escalate the conflict into a military confrontation that would ultimately harm US interests, Zhang Baohui, Professor of Political Science and Director of the Centre for Asian Pacific Studies at Lingnan University in Hong Kong, was quoted as saying in an RSIS Commentary (See www.rsis.edu.sg, South China Sea Series – Rising Tension in the Waters: China, US and Unintended Crisis, Nov 12, 2015). This referred to the fact that the US recently asserted its freedom of navigation in the disputed South China Sea after China began building artificial islands to strengthen its territorial claims. On Oct 27, the USS Lassen traveled inside the 12-mile nautical zone around Subi Reef in the Spratly Islands archipelago. This is one of seven reefs China has artificially built in order to claim its sovereignty over the Spratly Islands and the sea around it. Baohui asserts that even though Beijing did not take immediate action to counter the US vessel, such further “provocations” could seriously destabilize the peace and stability of the whole region. He suggests that the US stay out of the area since it does not have its core interests in the South China Sea whereas it is part of China’s strategic interests. “This kind of asymmetry in stakes would certainly give Beijing an advantage in ‘the balance of resolve’ over Washington, the professor has asserted. The professor has then pointed out that China’s new generation of tactical missiles – such as the DF-26 – were capable of being armed with nuclear warheads. Moreover, China’s air-launched long-range cruise missiles can also carry tactical nuclear warheads, he has added. The report noted that China had recently said it could use military force to kick out nations illegally to seize more islands in the disputed South China Sea, but that it was currently showing restraint. “The Chinese government has the right and the ability to recover the islands and reefs illegally occupied by neighboring countries,” it quoted China’s Vice Foreign Minister Liu Zhenmin as having said, speaking about the disputed artificial islands but not naming any particular country. If China gains complete control over the Spratly Islands, it gets the key to controlling waters through which $5 trillion in trade passes every year, mostly to and from China, not to speak of the sea and undersea resources.